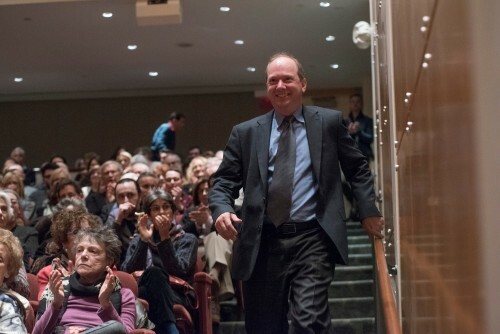 Attorney Randol Schoenberg approaches the podium in the Center for Jewish History’s Forchheimer Auditorium on March 29, 2015. 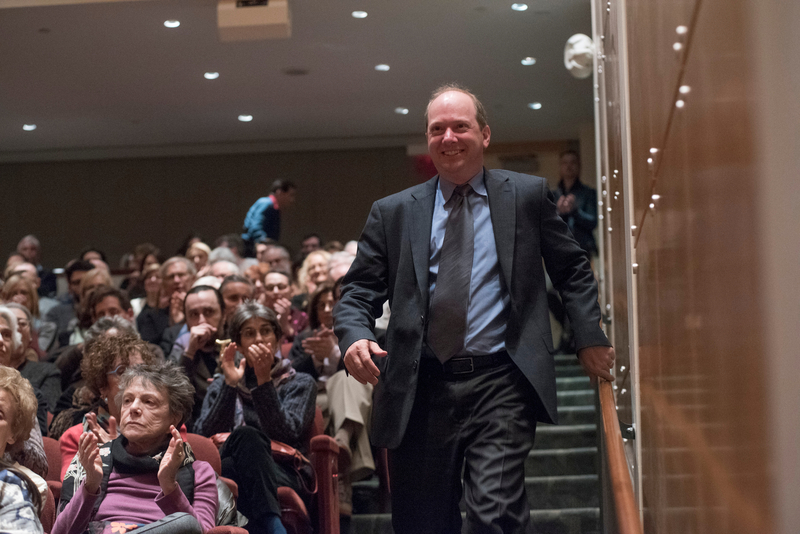 Schoenberg was the guest of honor at a special advance screening of Woman in Gold presented by LBI, the American Jewish Historical Society, and the Center for Jewish History on the eve of its official New York premiere. The film tells the story of Maria Altmann (Helen Mirren), who fought for restitution of artwork that had belonged to her family before they were forced out of Nazi-occupied Vienna. The titular “Woman in Gold” was Altmann’s beloved aunt, Adele Bloch Bauer, as depicted in the famous portrait by Gustav Klimt. 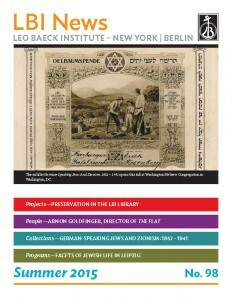 Schoenberg, a grandson of the composer Arnold Schoenberg, is a leading restitution attorney who helped Altmann recover the painting in a case that went to the United States Supreme Court. He was portrayed in the film by Ryan Reynolds.